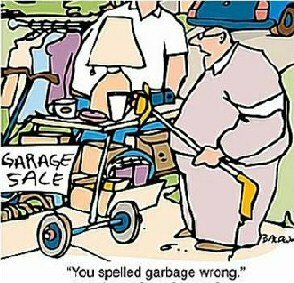 Trash Can Willys can help you get rid of your old or unwanted appliances for less and our service is FAST. Typically we can get unwanted appliances picked up and disposed of as soon as the same day you call! Trash Can Willys has been in business going on 9 years now. We are a local, Veteran owned appliance and junk removal and disposal service. We serve all of New Hampshire and most of North East Massachusetts. You name it we can take it and sometimes we even buy your junk! Last year we recycled almost 150k pounds in appliances alone! We always do our very best to recycle, resell, or donate items that aren't quite ready for the landfill, doing our part to help the needy within our community as well as preserve our planet for future generations to come by doing our part! A member of the Better Business Burea with an A+ Rating! Trash Can Willys can remove and dispose of all appliances including refrigerators, air conditioners, dishwashers, ovens, washers and dryers, even water heaters and microwaves! We always off the best price for your appliance pickup and disposal services with our now famous "Best Price Guarantee" that gets you the best removal price in New England! Is there still some life left in that refrigerator or washer dryer set? If so and we thing we can resell it, we might offer you additional discounts on picking those appliances up! We use the largest appliance removal trucks in the industry to ensure you get the best price based on our volume tier for disposal costs! We remove your appliances from where they sit, all we ask is you have them disconnected prior to our arrival. But, if you had trouble doing that our crew can assist, because we care, we want you happy! Countless awards and hundreds of reviews online in just over 8 years makes us the best removal company in New England! We donated over 150,000 pounds of appliances last year and we will do over 200,000 pounds in recycled refrigerators, washers, dryers, water heaters and furnaces this year! We care about our environment and local communities! Our crew will call 15 to 20 minutes before arrival as a courtesy. We will remove your appliances from where they sit all you need to do is point and its gone! Once you are satisfied with a job well done we will take payment via cash, credit, debit, or business check, send you a receipt via email and be on our way!